Kirkintilloch Golf Club is local to me but despite having driven past it many times, I've never played or photographed it. 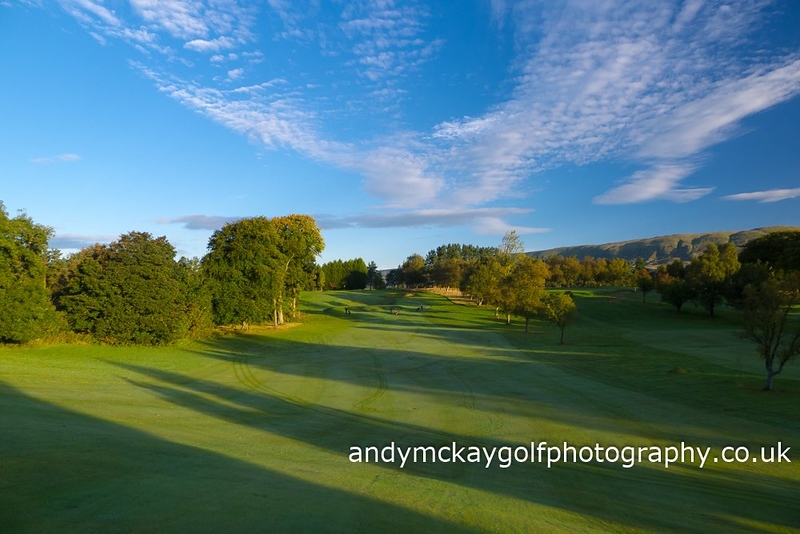 With good weather forecast for the morning I decided I'd get up early but stay local and stop by 'Kirky' to have a look at the course and see if I could create any good images. As I arrived just after sunrise and walked from the car park, past the clubhouse and onto the first tee, the view down the fairway was magnificent - as you can see in the image above - with long shadows running diagonally across the hole and a blue sky with white clouds seeming to converge over the green in the distance. Needless to say I was very happy with this start to the morning! I continued on and took a few other images like the one below while the light was still in it's golden phase. 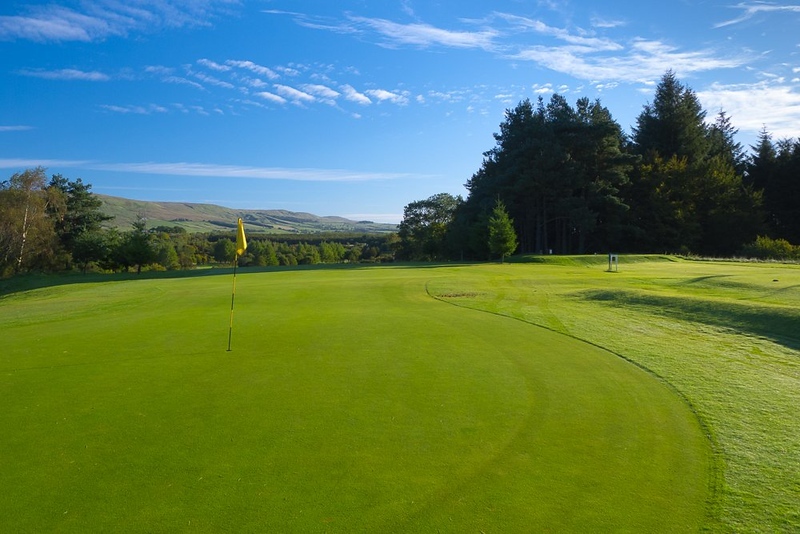 The golf course has some very fine holes and some great views out to the Campsie Fells. Well worth a visit.